Everything has Yin and Yang and they complement each other to form a whole. 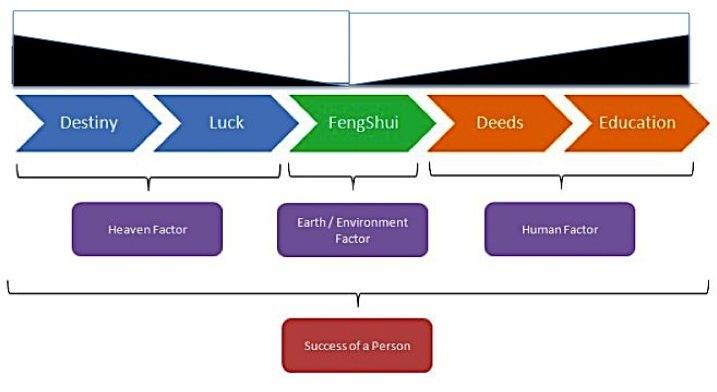 In Feng Shui it is expressed as Xing 形 and Qi 氣, Xing has form and Qi is formless, Xing is tangible and Qi is intangible, Xing is manifested and Qi is un-manifested. In Flying Star, Qi is expressed as a Star and it is not the physical star in the star, and because it is derived from the Trigrams in a Luoshu picture, it is also called a Gua Qi Star. A Star don’t do anything physically, it is not an energy that is capable of doing work. Instead it inspires us to think and to act. It makes us think of what needs to be done, where to do it and when to do it. A Star does not make us sick, nor it can bring in the customers, it makes us think about sickness and how to bring in the customers instead. It is our resultant decision and our action that will do the work. A ritual does not manifest a Star either, like a lot of people are promoting at the moment, a ritual makes us pay attention to a Star and its meaning instead, again it is our resultant decision and action that will do the manifestation and make the intangible become tangible and give form to the formless. Failure to understand this will turn Feng Shui into a mess of superstition, destroying the valuable benefits of what our cultural heritage can offer. I wish you well on your journey of discovery to the Mysterious. Straight after our hectic building work I went to Lazy next to the Baltic Sea to do a summer camp for the Qigong and then after for the Feng Shui students organized by Lidia and Krzysztof Szarek. 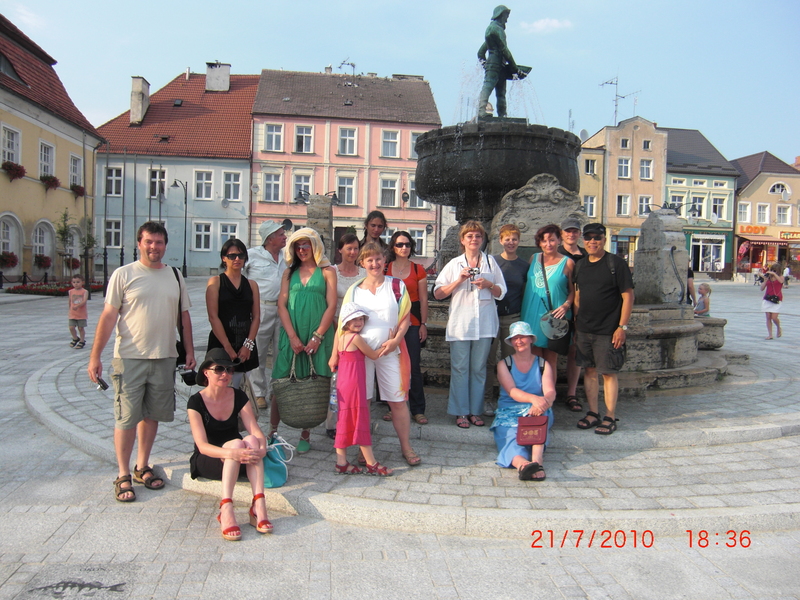 The weather was fantastic, hot and sunny, almost like Australia and the sea is not too cold. 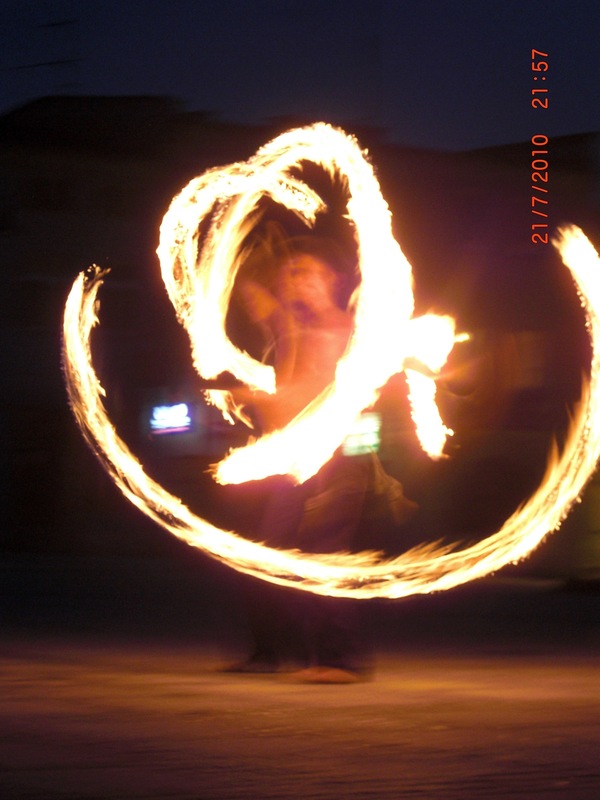 Konrad, one of our students, gave a spectacular Fire Show in the square of the old town Darlowo for us one night, what a wonderful way to finish 10 days with friends and students. A Wake-Up Call for Feng Shui. Acupuncture was not accredited 20 years ago; now one can study it as a Health Sciences degree in an Australian university (that much I know, because I taught FS and Taiji/Qigong at UTS, Sydney, as an elective in the Acupuncture degree). TCM was not accredited up to 10 years ago either, but now the situation has also changed. Given another 20 years, may be we can do the same for FS and make it one of the degrees that can be offered in the Environmental Studies to be taught at a university or a technical college. 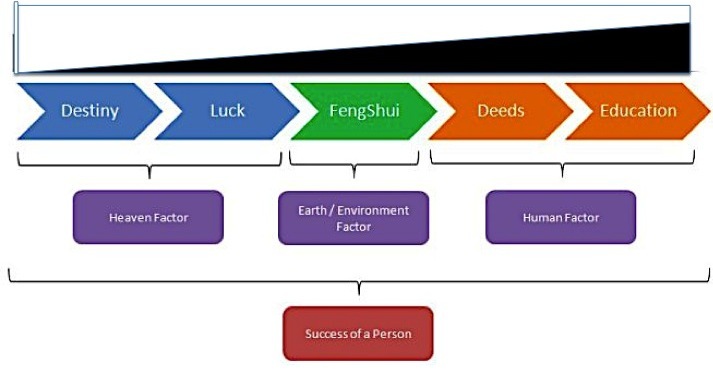 At present Feng Shui is mixed up with all the other Chinese Metaphysics like Bazi Suanming, Face Reading, Palmistry and Yijing divination, etc. which deal more with human potentials than with man’s relationship to the environment. 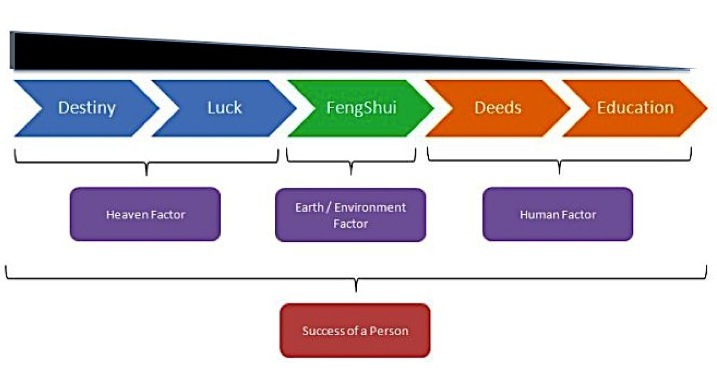 I am of the opinion we should distant Feng Shui from the esoteric practices and restore Feng Shui to its original character and that is a tool examine our relation to nature and how to modify our environment in a harmonious way. Lee Sang-Hae, in his PhD thesis “Feng Shui: Its Meaning and Context”, 1986 defined Feng Shui as “the canonical sets of ideas of Chinese Architectural Planning. Its theory is based in Chinese natural philosophy and cosmology. It is a mediator relating Chinese ideational systems to the planning of traditional architecture. It is, at the same time, a device for ordering the environment”. All this is worthy of our study. Instead of complaining about the charlatans, the marketing gimmicks and the superstitious nature of human kind, let us do something pro-active about it. Otherwise Feng Shui will always remain in the shadow of superstition and continue to be corrupted to a point of ridicule by the public. I think this court case is a wake-up call for all of us and we should heed its warning before it is too late. Traditional Chinese culture has a different way of thinking and naming things. Trying to put Chinese studies into a western pigeonhole is always fraught with problems. Below is a question by Alexey and my reply that illustrated the difficulty. Recently with some colleagues we had a discussion on the term “Chinese Metaphysics”. Here, 形而上 (形而上學) corresponds with dao, shen 神 and metaphysics. While 形而下 corresponds to qi 器. In Chinese sciences we study more qi than shen, so we are more to 形而下 rather than 形而上, so “metaphysics” seems to be an improper term. What do you think on that? Aristotle made the distinction between physics and metaphysics and we tried to find the Chinese equivalent in the Chinese sciences, which is never an easy task, because even in a binary relationship of this kind, between the Way (Dao 道) and the Vessel (Qi 器) (with the Way being prior in time and without substance and the Vessel being subsequent in time and has substance), it has a common base in the Form (Xing 形) and cannot be separated as two distinct entities. Zhang Dai-Nian noted that Wang-Zhi did not accept that the metaphysical and physical are related as above and below form as quoted in the Great Commentary, but he affirmed that form is the basis of what is above form and the metaphysical is not prior to form but an expression of form. Zhang also noted that Dai Zhen accepted that there is a distinction between what is above and what is below form. That the Qi of Yin and Yang that has not yet become things is the formless, and that is above form and not below it. So the discussions that you are having with some of your colleagues are also reflected in the history of Chinese philosophy and the discussions that went on between the scholars over time. My take is that since in the Chinese sciences, we study the form and what is above and what is below all at the same time with varying degrees of mix (not always more qi than shen), so if we have to use the Aristotelian terms, then they are both physics AND metaphysics; I agree with you in the sense that to say it is only “metaphysics” would negate the physical observation of forms in the practice of the Chinese sciences. For example: in the practice of Xiang Shu 相術 (the art of observation) where Feng Shui is one of the methods, it requires us to see the “qi/vessel”in and below the form as well as to contemplate the “shen/spirit”outside and above the form. The way we relate to the Chinese arts is the same in the way we relate to the Chinese sciences mentioned earlier, Bada Shanren’s paintings below show when a painting has both vessel and spirit in the form, then it becomes a work of art and not just an ordinary painting any more. His work transcends space and time because it is not only physically beautiful but metaphysically enlightening and that is what a traditional gentleman/scholar would tried to achieve – to be practical and transcendental at the same time.